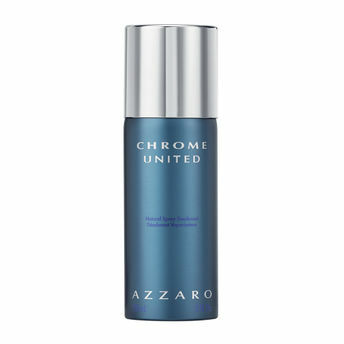 Chrome United: the new fragrance that celebrates the male friendships, the strength of ties and the feeling of freedom that unites a group of friends.This fresh, woody, musky scent is inspired by the joyful atmosphere of a day at the beach and captures the essence of a moment of shared friendship. This deodorant is easy to apply and its fresh, soft fragrances offer effective daily protection. It ensures a feeling of comfort and freshness throughout the day. Very gentle alcohol-free formula for all skin types.